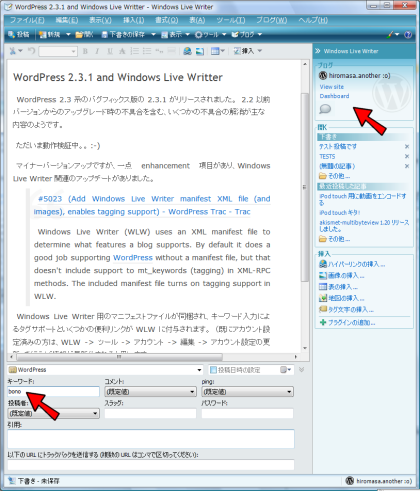 Windows Live Writer (WLW) uses an XML manifest file to determine what features a blog supports. By default it does a good job supporting WordPress without a manifest file, but that doesn’t include support to mt_keywords (tagging) in XML-RPC methods. The included manifest file turns on tagging support in WLW.